Welcome To The BBSS18 Demo Lounge! You can find an updated version over here! 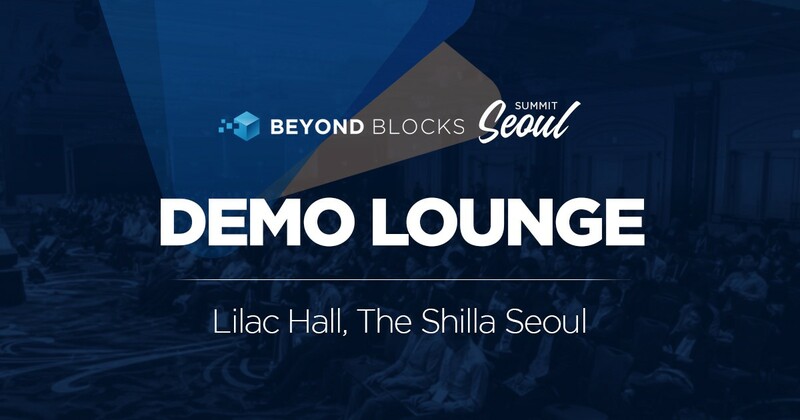 On top of a full-stack agenda in the main conference hall, we’ve added a Demo Lounge program that will showcase the companies and projects that have partnered with us for this event. Firstly, we’d like to extend our appreciation to all of the sponsors that have partnered with us for Beyond Blocks Summit Seoul. Only in our collaboration are we able to execute such a large-scale event for our community. During both days of the conference, our partners will be presenting their projects in a “fifteen minutes of fame” showcase, where they’ll be given the opportunity to concisely share with investors, enterprises and potential partners of what they’ve been doing, what they’re working on and their vision. These demos won’t just include Pre-ICO companies, but will also feature Post-ICO ventures that are seeking partnerships and further investments. Time: First Demo Lounge session will start after lunch on both days. With all the events and activities in and around the conference, make it a point to explore every corner of the event — because you never know where the next big opportunity awaits you.